The lack of offence from the Blue Jays hitters is downright offensive for fans! Toronto has played eight games and in exactly half of them, the opposing starting pitcher has taken a no-hitter past the fifth inning. March 28th the Tigers’ Jordan Zimmermann looked for his second career no-no, holding the Jays hitless through 6.2 innings. March 31st, Matt Moore had a no-no through 5.1. April 1 the joke was almost on the Jays as David Hess kept Toronto out of the hit column through 6.1 before being removed from the game due to an early season pitch count. Most recently Cleveland hurler Trevor Bauer pitched 7 no-hit innings until the Tribe’s bullpen finally surrendered 3 in the 9th. Not too surprisingly, those have accounted for four of the Jays’ five losses thus far versus three wins. If you can’t hit, you usually can’t score. If you can’t score, you can’t win. The team’s overall anaemic hitting numbers are certainly a concern. Even in a season such as this one where they aren’t expected to be contenders, the Blue Jays have marketed themselves as a young, exciting team. Watching this team, waiting for the bats to wake up has been painful in the early going. 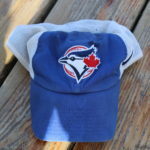 While they will almost certainly improve from the current team OPS of .599 (23rd out of 30 MLB teams), don’t let the offensive woes blind you to the positive things already happening with the Blue Jays. The ability to win games and ultimately championships can be broken down in to three components: pitching, defence and timely hitting. Pitching and defence help prevent opponents from scoring while timely hitting allows your team to score. While improvement is needed (and likely) on the offensive side, the pitching and defence have been vastly better than they were in 2018. Let’s look at pitching. Toronto currently has a team era of 2.19, which is ranked second out of 30 MLB clubs. In 2018 they finished with a 4.85 staff era, 27th out of 30. This mound resurgence has been led by stellar performances from the starting rotation. Marcus Stroman, Matt Shoemaker and Aaron Sanchez have all battled injuries in recent seasons but knock on wood they all appear to be healthy at the moment. These are veteran pitchers with good prior results when healthy, so far so good. Trent Thornton has impressive tools that will hopefully allow him to continue the success he’s had through two major league starts. Ken Giles has picked up where he left off when he joined the Blue Jays at last year’s trade deadline. Joe Biagini appears to have returned to what made him successful as a Rule 5 Draft player in 2016. Not to mention that reinforcements are working their way back. Ryan Borucki, Clay Buchholz, Clayton Richard, and Ryan Tepera are all listed on the injury report as possibly returning sometime in April. Turning the team’s improved fielding, Toronto enjoys a .986 fielding percentage, 10th best in the majors. In 2018 they were 23rd at .983. Their defensive efficiency ratio is 8th best at .728, whereas, last season they were second worst at .679. Looking behind the plate, for example, they are tied for first with 0% stolen base percent against. In 2018 they had a .777%, 25th out of 30. Teoscar Hernandez, a defensive liability in 2018 has been flawless so far in 2019 partly thanks to the use of yellow tinted non-prescription glasses. Wearing them in the field has helped him see balls in play, whereas, last year part of his problems came from losing balls in stadium lights. Watching Danny Jansen throw runners out on the bases has been fun, kind of like watching Russ Martin in 2015. This is not to say he has been a perfect backstop. He had a rough game a few days ago in terms of blocking balls and losing track of balls that got away from him. To his credit, he put in extra work with coach John Schneider following that game. Eight games account for roughly 5% of a 162 game MLB schedule. Realistically, the pitching success so far has come against the Detroit Tigers and Baltimore Orioles. Neither club is expected to contend this season. Even Cleveland, who won the AL Central last year partly due to being in a weak division with a 91-71 record, having traded away some of their higher priced talent this offseason aren’t strong a club. The pitching stats are likely to regress when they face stiffer competition than they have. But for now, let’s try to appreciate the improvements this team has made while waiting for them to take the next step.